Outsourcing Laser Cutting and Stainless Steel Fabrication. 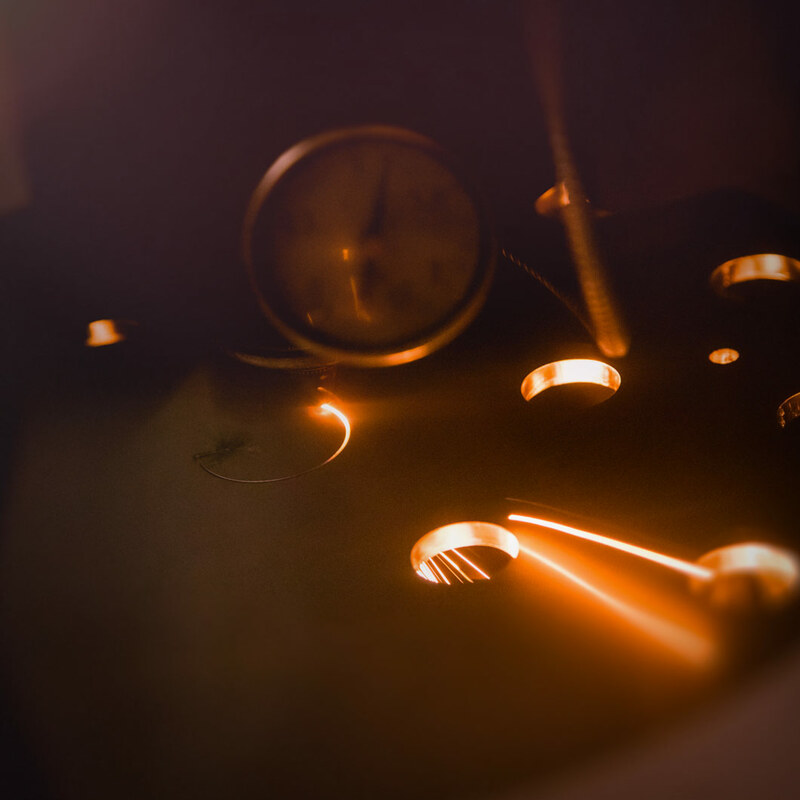 When looking to contract manufacturing or outsourcing your laser cutting, lathing, welding and metal – primarily Stainless Steel – fabrication needs, you ideally need a reliable and fast partner, providing high quality work at affordable prices. Lasergist is precisely that. And much more. A fully-equipped manufacturing plant worth several million dollars and our highly skilled engineers are here to assist you in every step. With clients in more than 20 countries, from the USA to Australia, to the Maldives, Lasergist is a reliable partner for businesses of all scales. We are focused on providing the highest possible quality by using only the finest raw materials. And our pricing is simply unbeatable. This page is for businesses seeking to outsource bulk orders. For single pieces and your regular Lasergist orders please go to our Homepage or straight to the Product Configurator. Even though the largest portion of our production floor is covered by Lasers, a multitude of machines is available and highly optimised for outsourcing bulk orders. 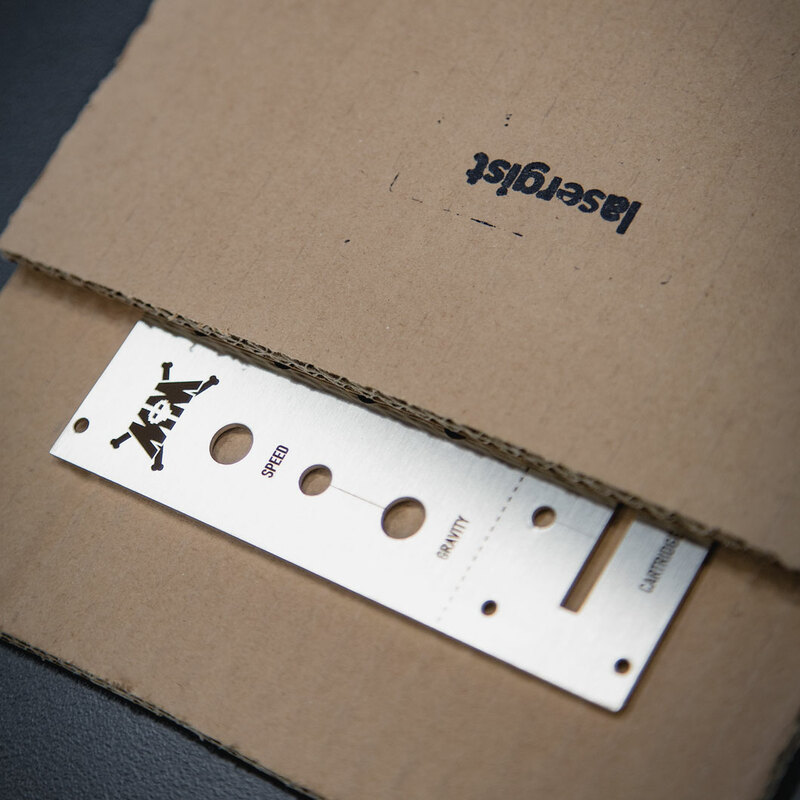 Laser Cutting is the process of a laser beam cutting through steel in extremely precise accuracy and speed. 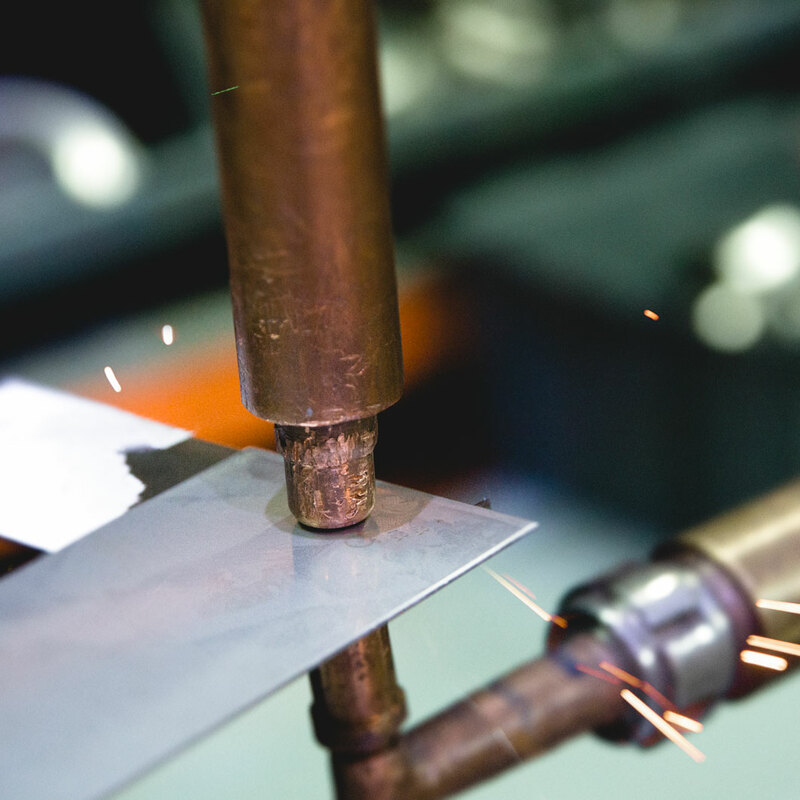 Typically found in large-scale industrial manufacturing facilities, it is the method of choice to cut complex or simple pieces out of sheet metal. Leftovers are minimal making it particularly efficient. Given its precision, it can not only boost your product quality, but also allow for elements that would otherwise be impossible with regular machines. 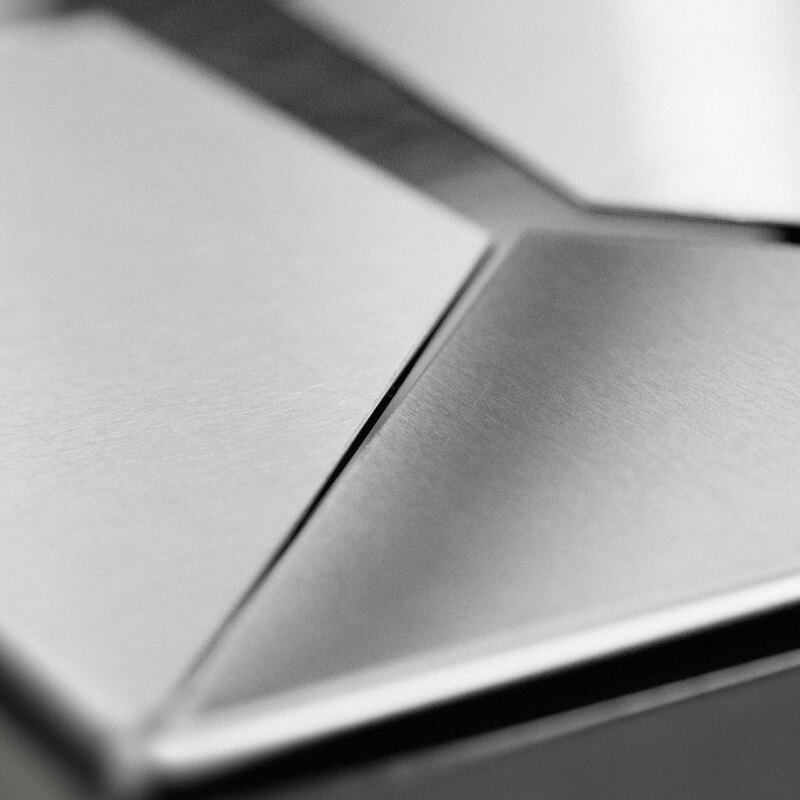 Permanent Laser Engraving is three things: Beautiful, useful and in some cases mandatory – especially by UL, CSA and CE. 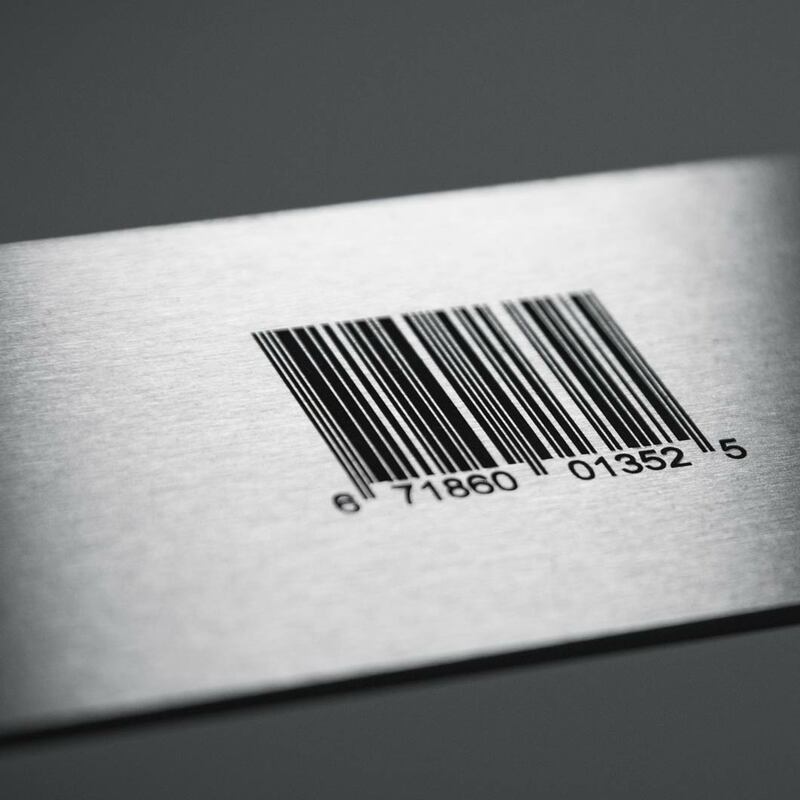 A laser engraved barcode, QR code or serial number can help you trace the item even decades later. Engraving your product’s details (for example Watts, Volts, certifications, etc) can make your product look more professional too. And last, but maybe most importantly, adding your logo in a beautiful, permanent manner will enhance the product’s looks and it’s free marketing! Our CNC Lathes are industrial-grade, heavy duty beasts made by Mazak. Capable of machining exceptionally small parts to really large (60mm thick) rods of solid Stainless Steel in remarkable detail. 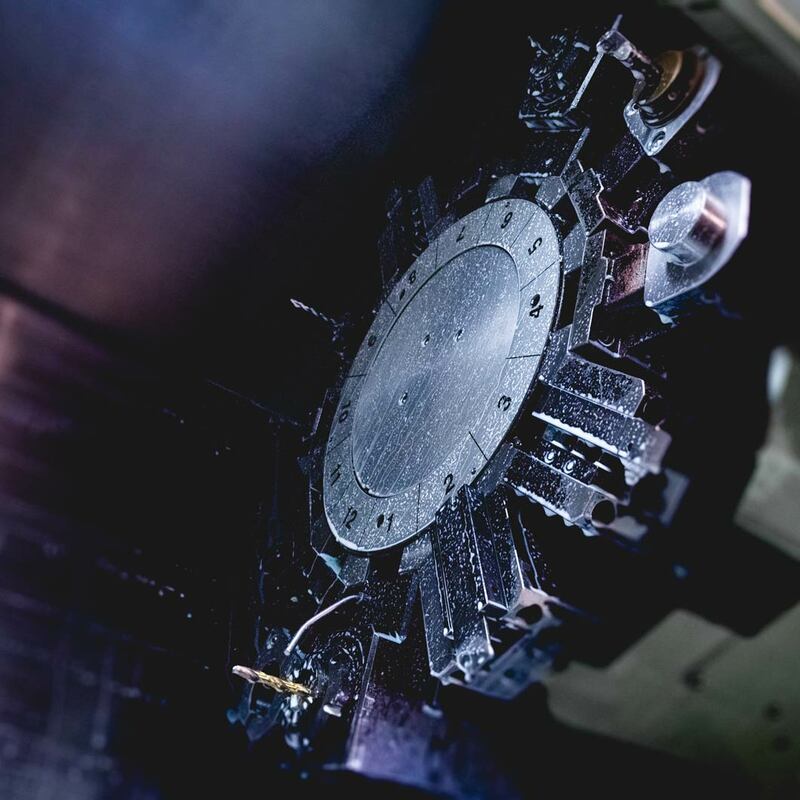 Each machine has a 12-tool mill and an automated feeder, allowing it to work autonomously, 24/7 at extremely high speeds producing any shape, slot, hole, thread or detail required. Most of our CNC lathes also have active, motorised tools that can drill holes at an angle. Welding is maybe one of the most necessary processes when working with metal products. 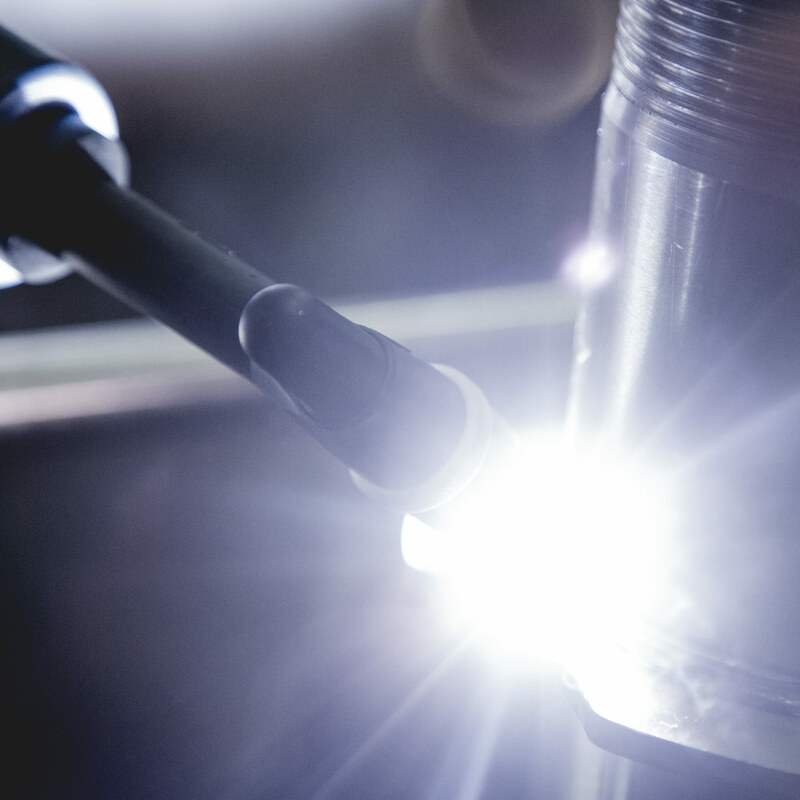 We specialise in Autogenous TiG welding and have developed in-house finishing techniques for flawless, invisible and high quality weldings. Turning flat parts into complex shapes. Our CNC bending machines create bends of various angles on a workpiece with high quality and precision. This process is widely used in numerous applications were casting is avoided. Adding a screw anywhere? Yes. This is exactly what screw welding is. 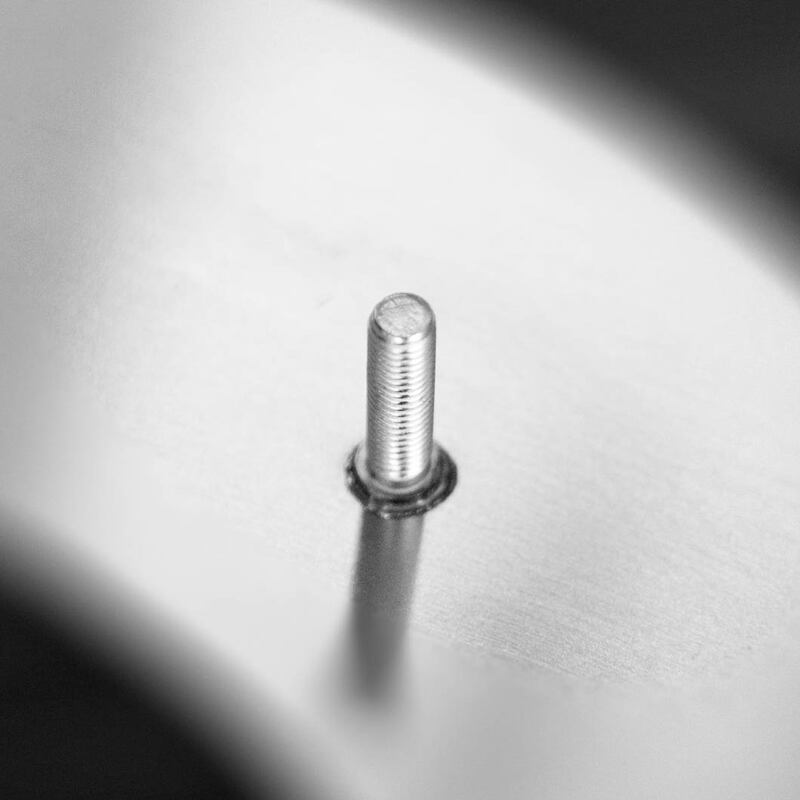 We can attach one or multiple screws of various sizes on any surface. The application (or welding) of screws on a workpiece is a very affordable, yet highly useful process. This allows for strong, heavy-duty assemblies with other parts. Resistance Spot Welding (RSW) is a process in which contacting metal surfaces are joined by the heat obtained from resistance to electric current. In short, this is how chassis for cars are made. It is a durable, reliable, affordable and lightweight solution when two parts (usually made of sheet metal) must be welded together. Lasergist is fast. It’s laser-fast. Turnaround times always depend on your order but we’re fast. We are also located in Europe; a very central and convenient location to ship your order anywhere in the world. As a small example, an order of 1000 50x50mm pieces can be manufactured and delivered to you in less than 3-4 days! Interested in outsourcing your entire or part of your production needs? Get in touch with us, sharing as many details as you feel comfortable with and an engineer from our Outsourcing Dept. will reply to you shortly.